The UK's only current account built for apprentices. Not students, not kids, just apprentices. Freedom is a new current account that gives you the features you'd expect from a bank account, including a contactless Visa debit card, internet and mobile banking app, text alerts, as well as some added extras for apprentices. Available for apprentices in our operating area, aged 16-23. Access to a preferential 1.00% gross interest(1)/AER(2) eSavings account. What are the main features of the Freedom Apprentice Account? The Freedom Apprentice Account has the digital banking options you need. This includes an app, mobile payments, a contactless card and dedicated webchat. If you want to save some of your hard earned wages, The Freedom Apprentice Account gives you access to our eSavings account. We are on hand to answer any questions or queries you have, either online, in branch, or over the phone. What can the Freedom Apprentice Account do for me? Why do I need the Freedom Apprentice Account and how is it different from the other options? Banking with the Freedom Apprentice Account is simple and easy, because it offers all of the digital tools you need as well dedicated human support. If you're looking to save up for a new car, your first house, or to travel somewhere special, Freedom gives you access to a preferential savings rate. Don't settle for a kid's bank account, choose the right one for your new career and your next adventure. How do I get a Freedom Apprentice Account? Age The account is available to apprentices living in our operating area aged 16-23. Applications Applications can be made online or in person at any of our 34 branches. The account can be opened in sole name only. Mobile Banking App Available for iPhone and Android phones. Quickly view balances (without logging on), transactions, make transfers and payments. Internet banking Our full range of internet banking services are available on computers, tablets and smartphones. Internet banking is a requirement for this account. Apple Pay, Google Pay, Paym Use Apple Pay/Google Pay to pay in shops, apps or online or Paym to transfer or receive money using just a mobile phone number. Text alerts Set up an alert by text message when your balance falls below a value of your choice. Also, for security, when your Internet Banking Access Code has been changed and access suspended. Access to a preferential savings rate The Freedom Apprentice Account provides access to the Society’s eSavings account which pays a higher variable rate of interest than our Instant Savings account. eSavings can be operated via our mobile and internet banking services. Cash Withdrawal in pounds in the UK at Link cash machines You can take cash out of your account in pounds at a Link and Visa cash machine, bank or Post Office in the UK. Cash withdrawal at Cumberland branches You can withdraw up to £500 cash at any of the Cumberland’s 34 branches. Current Account Switch Service You can switch your account to us in 7 Days by our team based in Carlisle, guaranteed. Standing Orders & Direct Debits A standing order is a way we can make regular transfers, on your instruction, of a fixed amount of money from your account to another account. You can set a payment to be taken at a certain frequency (for example, the 1st of each month) for a set amount of time, such as six months. Your payments will consist of money set at an amount chosen by you. A Direct Debit is where you permit someone else (recipient) to instruct us to transfer money from your account to that recipient. We then transfer money to the recipient on a date or dates agreed by you and the recipient. The amount may vary. If the organisation you are paying wants to change an amount or date of collection, they have to tell you about it first. Web Chat/ Facebook Messenger service If you need help, advice or have a banking question, you shouldn’t have to do the hard work to find the answer-use our dedicated Freedom Apprentice Web Chat or Facebook Messenger services. Customer Service Helpline Our friendly Carlisle-based team are here to take your call, 7 days-a-week. Use of all Cumberland branches All 34 Cumberland branches are open 6 days-a-week. 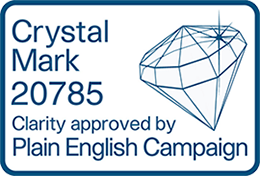 Verified by Visa and One Time Passcode protection Verified by Visa (VbV) is a free service provided by Visa and Cumberland Building Society which provides password protection and helps prevent another person using your Visa debit card online at participating VbV online retailers. Credit Interest There is no credit interest currently paid on this account. Overdraft There is no overdraft facility available on this account. (1) Chip and PIN has no limit as long as you have sufficient funds in your account. The limit for contactless is £30 with a physical debit card. (2) A fee of 2.5% of the transaction amount will be charged for debit card payments in a foreign currency and cash withdrawal in a foreign currency outside the UK. The provider of an ATM or retailer may also apply a charge. This account is available to open for internet enabled, Cumberland Plus and Freedom Apprentice current account customers only who live in our operating area. If you close or de-register your internet banking Cumberland Plus or Freedom Apprentice current account, your eSavings account will, in the absence of any alternative instructions be closed. Starting an apprenticeship brings a lot of freedom - you're saving up for a car, and joining a gym, and making the most of life. You need a bank account that gives you freedom. If I'm opening the account in branch, what should I bring? Unless you have an account with us already, we will need you to provide proof of your identity and evidence of your address. If you are aged under 18, this can be in your own name or in the name of a parent or guardian that lives at the same address. We do a lot to help protect you from fraud; find out more about our services which help keep your money safe and secure here. Here's our top tips on what you can do to protect yourself even better from fraud. What is the Cumberland eSavings Account? The Cumberland eSavings account is an online account available to Freedom Apprentice account holders. The account offers instant access via Internet Banking and our mobile app. Full information about this account. Is it easy to switch if I already have a current account elsewhere? Can I use the account abroad? With the Freedom Apprentice Account, you can use our debit card, Apple Pay and Google Pay to make cash withdrawals in foreign currency outside the UK or debit card payments in a foreign currency. What are the digital features of the account? View your account balance, make and receive payments, and more, with the latest Cumberland mobile banking app. Here's all of the app features. CLICK HERE to download the app for Apple iOS devices. 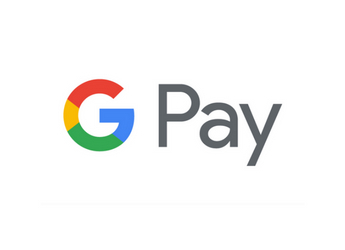 A contactless Visa debit card, Apply Pay and Google Pay. Our digital team are available online to answer any questions or queries you have. Pay2Mobile is part of Paym, a payments service which allows Cumberland current account customers to send and receive money simply and securely using just a person’s mobile phone number. This is a really handy feature of our app, useful for collecting football subs or making quick payments. Are you not yet an apprentice but looking to get an apprenticeship? The Government is keen to get more people into apprenticeships, as they are an excellent way to start a career. Here's the key info you need. What apprenticeships are available in Cumbria? If you're already an apprentice and want to switch your account to us, that's really quick and easy, and can be completed in 7 days. This quick guide has the key information you need to know about your finances before you start your apprenticeship. the payment takes you over the limit of your arranged overdraft; you may have to pay charges as a result. We developed these examples with the relevant regulatory bodies and leading consumer groups to help you to think about how changing the way you use your account can affect the amount we may charge you. These examples are meant to show how different actions can result in different charges. We could add other charges and interest to your account if you try to make payments when you do not have enough money. Click here for details of all the charges and interest rates for these accounts. * Example (3) assumes that both payments made result in your balance being more than £15 into an unarranged overdraft. The total charge may therefore be lower than that shown in the table. * Examples (4) and (6) assume that each payment is processed on a different day. A maximum of two charges per day will be made in respect of these items and the total charge may therefore be lower than that shown in the table.All of the above examples only apply to personal current accounts. The recipient of the funds will also be subject to a charge. We regret we cannot confirm in advance the amount of any such charge. If an investigation is required into an overseas transfer, for example, if there is a delay in the funds being received by the beneficiary, if the funds are returned, or if further information is required to place the funds, a £25 charge is payable. Charges are payable for these services and are made both by our bankers and the bank on which the cheque is drawn (the drawing banker). We cannot confirm in advance the rate of exchange which will apply or the amount of the charges, but for guidance they could be as high as £60. All charges will be deducted from the amount converted and the net amount will be credited to your account. Please allow at least eight weeks for these cheques to be paid by the drawing banker. The rate of exchange which will apply will be the rate applicable on the date the cheque is paid by the drawing banker. We will normally not accept such cheques for amounts less than £100. You can use your Cumberland Visa Debit Card to pay for goods and services, or to withdraw cash at a cash machine, wherever you see the Visa sign. When you use your Cumberland Visa Debit Card to carry out a transaction in a currency other than sterling, unless you are offered and accept a currency conversion rate at the time, transactions will be converted into sterling at the exchange rate on the date they are received by Visa in the UK. To get an idea of the exchange rate that would be used, you can view the Visa wholesale rate of exchange here. This rate is indicative only, because such transactions are processed and converted when the retailer sends them to Visa. This is not always on the same day as the transaction itself. If your 16-digit Visa Debit Card number starts with 4658 5520 or 490971, we will not charge you to use your card for transactions in a foreign currency. However, if your 16-digit Visa Debit Card number starts 4658 5550 or 475148, or you have a Freedom Apprentice Account we will make a charge of 2.5% of the transaction amount. In addition, the retailer or cash machine provider may apply a charge, regardless of your account type. There may be other fees and charges (not listed below), which are made by us for providing additional services and we'll let you know about these when you ask for these services. Other taxes or costs may exist that are not paid through us or imposed by us. Fees, charges and overdraft interest rates may vary from time to time. Unless otherwise stated, all charges for services are payable when the service, or processing of a payment, is requested. Applied when we consider and return a request to process a payment because you do not have sufficient available funds in your account. For cheques this is when they are presented for payment (typically before 9am), and for Direct Debits and standing orders, by 3.30pm on the day they are due to be paid.Applies to all accounts which can process cheques/Direct Debits/standing orders. If the debit balance on your account exceeds £15 or exceeds your arranged overdraft limit by more than £15 at close of business on a bank working day, a daily £5 fee will be incurred. This fee will continue to be incurred on each subsequent bank working day until the balance of your account is brought back into credit or within the arranged overdraft limit. Applies to Personal Current and Non-Personal Non-Business accounts. These charges will be debited on the last bank working day (ie excluding Saturdays, Sundays and Bank Holidays) of the calendar month following the month in which the charge is incurred. Eg a charge incurred in June would be debited on the last bank working day of July. We won't charge you more than 2 unpaid item charges per day or charge more than £90 (in unpaid item charges and overdraft management charge per month). Each chequebook issued. Applies to Cumberland Day2Day, Money Management, Freedom Apprentice and 24/7 accounts. £5 This charge will be debited on or around the time of the request. Each Counter Cheque requested, either at a branch or by contacting our Head Office. Applies to Cumberland Plus, Freedom Apprentice, Offset, Standard Current, Reward, Plus, Cumberland Day2day, Money Management, Cashcard and 24/7. £1.50 This charge will be debited on or around the time of the request. These charges also apply to some of our closed issue accounts. Please contact us to find out more information.